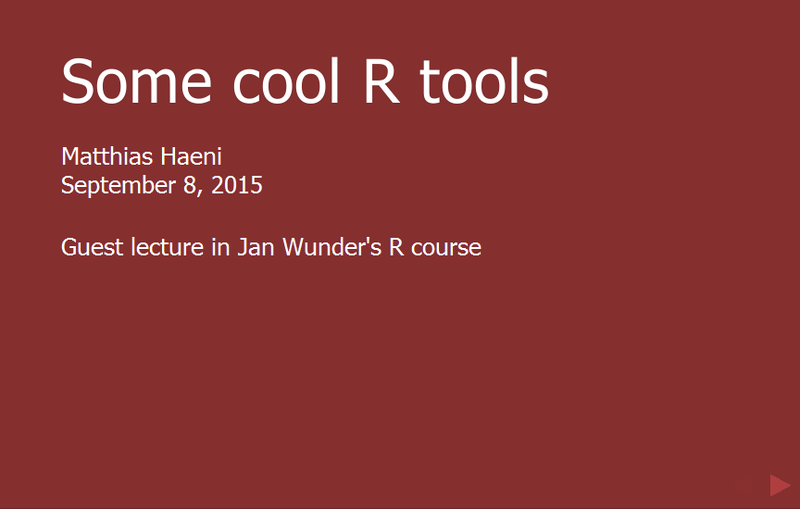 I was able to participate with a guest lecture in the R course of Jan Wunder, hosted at the WSL on September 18, 2015. In two hours, I gave a really brief introduction to git and github, to R shiny and to SparkR. It was quite a challenge to present all three tools in this short time, but it was rewarding, because most of the students said that they followed well and they gave a general good feedback. Thank you Jan, for letting me participate. I hope next year again.